This year’s TED conference has two of Long Now’s board members presenting, Stewart Brand and Danny Hillis. 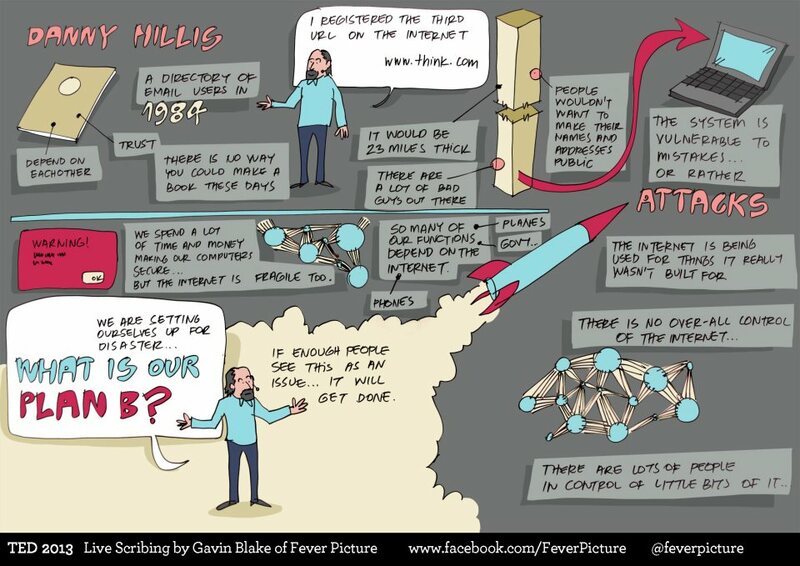 Although the videos will not be published on the TED site until later this year, some attendees graciously summarized and illustrated the talks for the rest of us. The cartoons below come from Fever Pitch, a group of artists that put information in illustrated form. 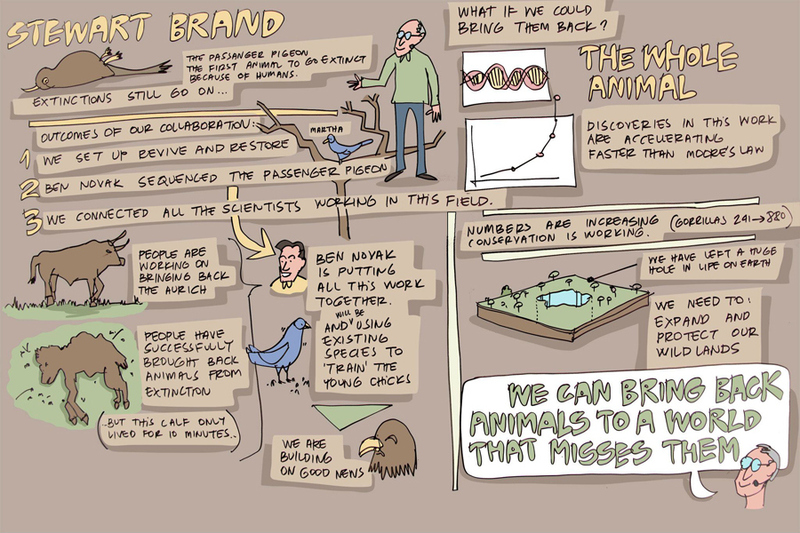 You can find the rest of their TED illustrations on their Facebook page. Stewart’s talk introduces the concept of de-extinction to the TED community. First giving an overview of the technology and previous research, he goes on to explain how the newly launched Revive & Restore project is working on bringing back other extinct species, starting with the passenger pigeon. Revive & Restore will be hosting TEDxDeExtinction in Washington DC on March 15th to further explore this project. Danny’s talk calls for the creation for a plan B in the case of internet failure. Michael Copeland from Wired also gives a good summary of the key points of the talk for those that were not physically present.